You will never want to let your eyes and hands off this vase. 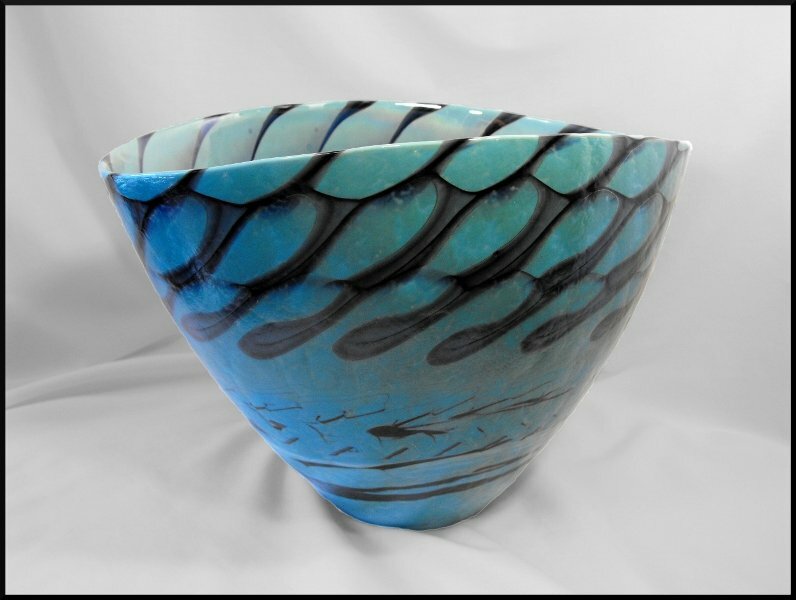 Amazing turquoise colour, a pattern resembling snake skin, supplemented with black flowing lines and mother-of-pearl finish creates an unforgettable expression. This piece is fully functional and inspiring example of art in its own right. This Murano Glass Vase is made by Ferro Murano and carries the Vetro Artistico Murano mark guaranteeing authenticity.